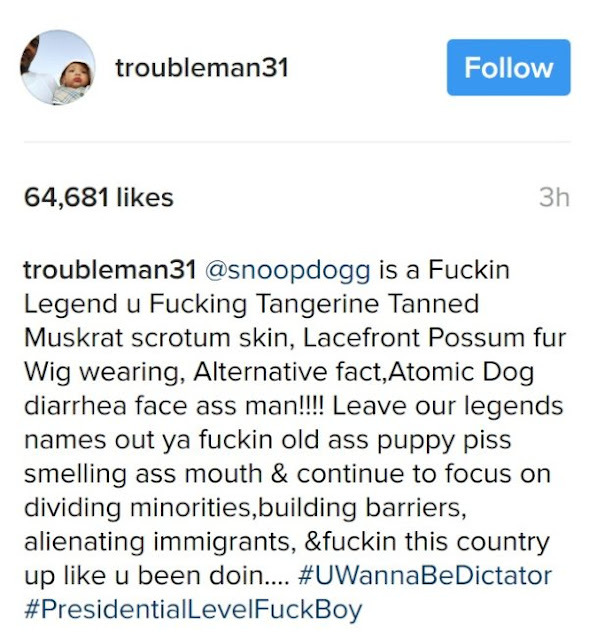 US Rapper, T.I has taken to twitter to defend Snoop Dogg who was recently blasted by Donald Trump, saying he’s a legend and threw harsh words at the president. Recall that, Snoop Dogg had earlier mocked Donald Trump in a controversial music video for his new song, where the US president was ridiculed as Ronald Klump and painted as a clown. 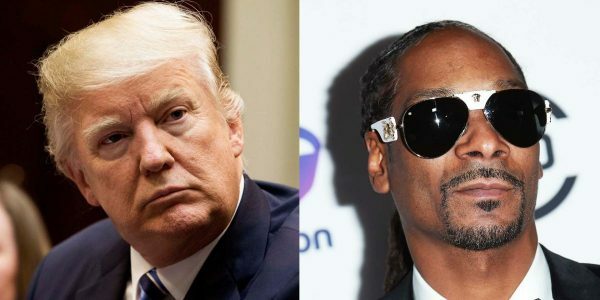 President Trump, who obviously was not pleased by the video, took to twitter to fire back at Snoop, saying Snoop has a failing career and compared what Snoop did to him to the outrage that it would have caused if the same had been done to former President Obama.